PRs: 14:14.00 (3 miles, Mariner Invite, 2018), 14:55.30 (5K, at State Championships, 2018). Five races, five wins, capped with a course record en route to victory at Nike Cross Nationals. A brief season executed perfectly for Redwood senior Liam Anderson, the no-brainer choice for MileSplitCA 2018 Boys Cross Country Runner of the Year. 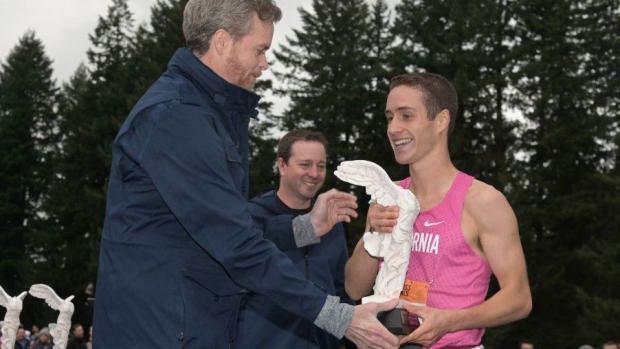 Anderson, who signed with Stanford, won a third consecutive North Coast Section title, followed that with a second consecutive CIF State Division III championship and then capped it off in Portland by winning at NXN. It was a victory fueled by disappointment as a sophomore, where he placed 22nd, one spot short of All- American status. 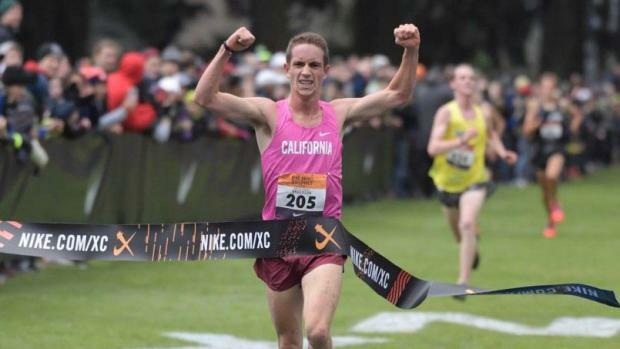 "For me, that was motivation," Anderson told MileSplit's Cory Mull after his December victory at NXN (in the interview linked above). As a junior, Anderson placed third at NXN but that finish also fell short of the goal. "I was really going for the win last year, too," he said. "I really just ran out of room coming up the last hill. "That's haunted me a little bit the past year." Coaches Laura Schmitt and her son Jake Schmitt devised a plan that would allow for more focus on training than competing with the objective of being the strongest over the final kilometer on the Glendoveer Golf Course in Portland on the first day of December. No races in August, just two each in October and November sent Anderson to Oregon as ready as he could possibly be. "We think there's more benefit to getting that workout in and really pushing it week after week," Anderson explained at NXN. "So, I think that's a big reason I was able to perform as I did today." He stayed with the front pack but was careful not to lead until they got within that final kilometer of the 5K challenge in a group of four. "I felt good," Anderson said. "For me, that last K is really where I get to take control a little bit after sitting back the whole race. "I was confident in my ability to out-kick them." Anderson crossed in 14:57.60, 3.3 seconds ahead of Indiana's Cole Hocker (who the following week would win the Foot Locker National Championship race in San Diego), 5.1 seconds ahead of Cole Sprout (a previously undefeated junior from Colorado), and 7.1 seconds ahead of Newbury Park's Nico Young (the CIF-State Division II champion). Anderson's race story was similar at State, where in perfect conditions on the Woodward Park 5K course in Fresno, he was content to bide his time behind Rubidoux's Kevin Ramos until about 800 meters remained when he made his move and pulled away from the two-time Southern Section champion to win by 10.50 seconds. Next up is the track and field season where Anderson is the defending state champion for 1600 meters. 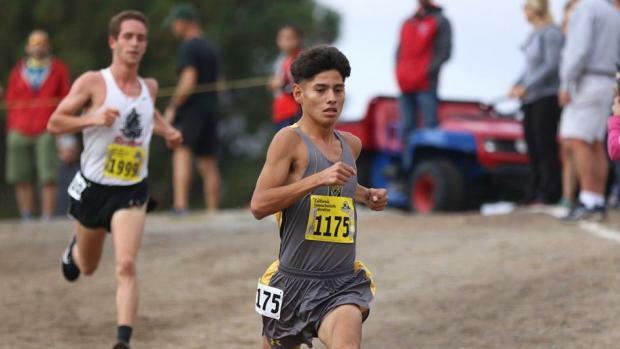 NICO YOUNG (Newbury Park/SS) -- Young, a junior, won six races, including the Division II title at both the Southern Section Championships and State Meet. 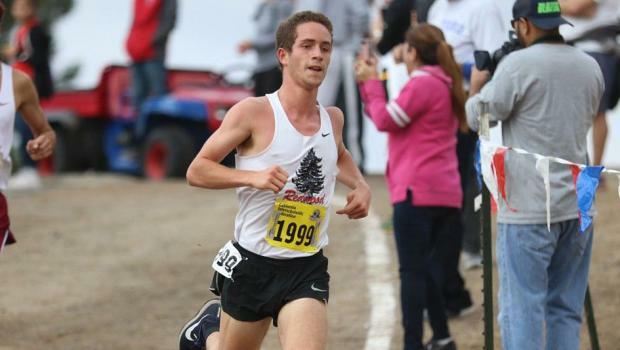 He ran third at Clovis behind Anderson and Great Oak's Tyler Tickner, and was fourth at Nike Cross Nationals. Young will be the No. 2 returner for 2019. MATT STRANGIO (Jesuit/SJ) -- Strangio, a junior, won seven races including the Division I title at both the Sac Joaquin Section Championships and State Meet. He has now won the SJS D-I title twice. He placed eighth at NXN. Strangio will be the No. 4 returner at the national meet for 2019.